Add the flour mixture and mix just until blended. DO NOT overmix or the cookies will become tough. For a more subtle flavor add less and for a dominating flavor add more. Place on sprayed baking sheet 3” apart. until golden brown and just set. These really spread out and are pretty fragile. Merry Christmas Mary to you and your family – I love jumping back here every once in a while and am glad to see a new post! 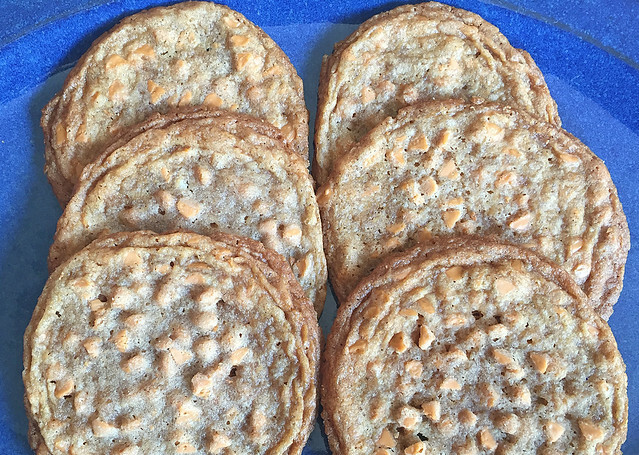 Must try these – I am a sucker for butterscotch and have deemed it insulin worthy.